These lightweight fiberglass cooling towers are designed for long life and low maintenance at a competitive price. FT Series towers are of a counter flow design, carefully engineered with the optimum combination of heat transfer media, uniform air flow and even water distribution. They provide maximum air/water contact and low air pressure drop to assure efficient heat transfer while minimizing power requirements to save on operating costs. 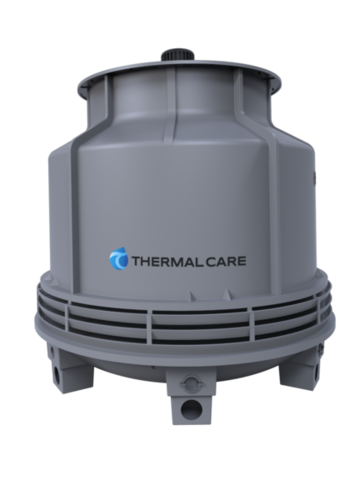 Thermal Care is a leading manufacturer of process cooling equipment in over 50 industries. Whether you are cooling one process, or an entire plant, we have the expertise and heat transfer knowledge to provide solutions to your temperature control needs. We offer standard and customized portable and central chillers, cooling towers, pump tanks, and plant wide systems. 89 نموذجVew المزيد عن Thermal Care, Inc.